Do you have an unwanted vehicle sitting at a location in Avondale that you want to get rid of? At Car Removals Avondale, we have the solution – we’ll collect your vehicle for free, plus we’ll pay you for it – up to $15,000! We buy all types of vehicles including cars, utes, vans, and trucks. We’ve made the process as simple as possible too. All you have to do is call 0800 392 392to get a quote for your old or wrecked car before arranging a collection. Or, you can keep reading to find out more about our Japanese car wreckers in Avondale service. When you call Car Removals Avondale, you get the best price possible for your broken, rusted, or unwanted car, plus we’ll collect it from your property in Avondale (or anywhere else in Auckland) fast. In fact, we can usually remove cars from Avondale same day as we have a reliable team on the road in well-maintained trucks. 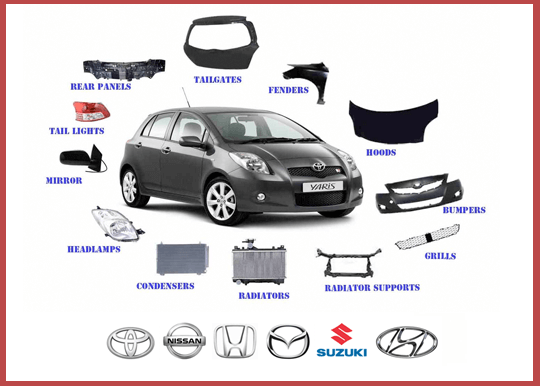 To find out more about our Japanese car removal process, click here. When you come to Car Removals Avondale, there is no delay in getting the cash you deserve for that Japanese vehicle taking up space on your property. In fact, we’ll pay you to cash in hand as we take the car away. In addition, we are Japanese car specialists so pay the best prizes in Avondale for Japanese cars. Car Removals Avondale specializes in any brand trucks and light commercial vehicles in addition to Japanese cars. This includes vans, 4wds, and utes. In fact, we’ll buy any vehicle that originally came from any manufacturers, whatever its condition. Why not call today to see how much your car is worth? Cars that are not disposed off properly can damage the environment. That’s why Car Removals Avondale always deal with wrecked and unwanted cars in the most environmentally-friendly way possible. Mostly, this comes down to recycling – we recycle just about every bit, liquid, panel, part, nut, and the bolt of the cars we buy. The small amount leftover after this recycling we dispose of carefully. Car Removals Avondale is one of the top car wreckers in Auckland because of the prices we pay. We also offer a high level of service wherever you are in the region. That applies whether you are in the city, in the suburbs, or out in the countryside – we will pay the best price for your car and we’ll collect it for free. To find out more, including how much your car is worth, call today.